Lisa is responsible for Wawanesa Insurance’s customer experience infrastructure including: strategy, segmentation, analytics, experience design, voice-of-customer feedback, loyalty measurement and culture change. Her previous roles include: Senior Director, consulting with PwC, director of customer service and strategy groups with BMO and Associate Principal with SECOR Consulting. Lisa built an impressive career as a strategy consultant with a focus on business planning and execution, customer experience and growth option development. She advised companies in multiple sectors including telecommunications, financial service, banking, insurance, retail and healthcare. 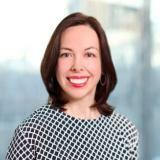 She holds an MBA from the Ivey School of Business, University of Western Ontario and BA from Harvard University. Lisa brings valuable insight and experience to Altruvest from her previous not-for-profit board positions. She was the Board Chair of Christie Ossington Neighbourhood Centre, Director of JVS Toronto and the Board Chair of the Queen West Art Crawl. She joined the Altruvest board of directors in 2015.